Located in the Lakes District of New Zealand’s South Island, Queenstown is a thriving tourist destination. Its impressive natural environments made it famous as one of the main filming locations from Lord of the Rings, and Queenstown attracts film buffs from all over the globe with tours of the infamous terrain, but its real claim to fame is as the adventure sports capital of an extreme sport mad country. It was the home of the first ever commercial bungee jump, and continues its proud tradition of pioneering new and exciting ways to scare yourself silly. However, Queenstown should not be seen as a one trip pony; yes, you can, and should, make the most of the amazing sports on offer, but you won’t find yourself stuck for things to do once you return to your hostel either. Who doesn’t enjoy a little souvenir shopping when holidaying? With magnificent 360° mountain views, relaxed vibe and eclectic mix of stalls Remarkables Market is definitely worth a visit. Open only during the summer months (October to April), the market trades every Saturday between 9am and 2pm. On offer there is a diverse range of goods from local crafts and artisans as well as local food vendors. It is this variety that makes it a favourite destination for locals and tourists alike. Visitors to the Remarkables Park Red Barn can enjoy listening to live music as they browse or sample tasty local dishes while they relax outside, soaking up the atmosphere and taking in the sights. Lake Wakatipu is best known as a venue for a large selection of excursions formulated with adrenaline-junkies in mind, with the bungee jumping, white water rafting, river surfing or canyon swinging activities on offer. However, it is also the perfect place to relax, kick back and take in the scenery on a leisurely walk, bike ride or a lake cruise. The now over 100 year old steam cruiser The Earnslaw still patrols the lake taking passengers to the Walter Peak High Country Farm, where they can enjoy life at a slower pace surrounded by stunning scenery and farmyard animals. If there is any better way to finish a day of adrenaline pumping adventure than kicking back and relaxing in a chilled out bar we are yet to discover it, and Queenstown’s nightlife has plenty to offer, with live music and great food to boot. 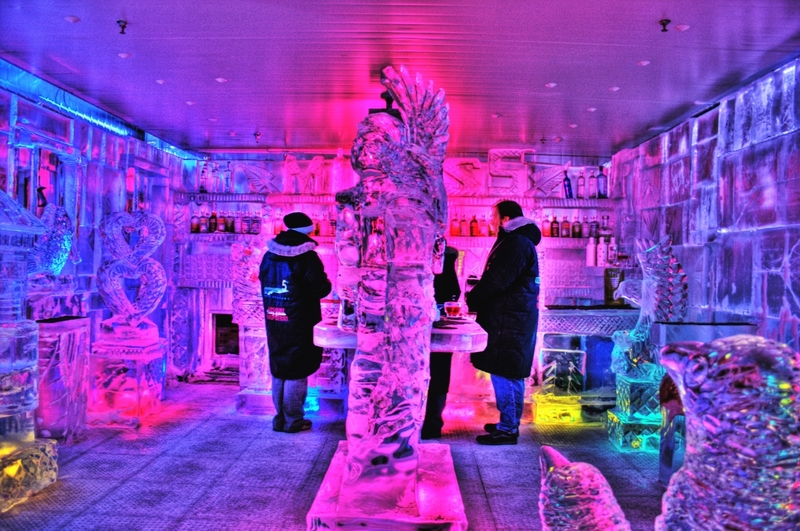 Queenstown is the home of the famous Minus 5˚ Ice Bar, a bar constructed from more than 18 tonnes of crystal clear ice where you can quite literally chill out. Before exploring the ice furniture and sculptures on show, guests are decked out in snow clothes to allow them to appreciate this unique experience without freezing.